Apple and caramel flavor oils swirl in natural lip balm bases in this fall themed project. Customers will love the lip balm packaging in this project! The clear jar allows your artistic green and brown swirl to be front and center. The apple and caramel flavor oils sweeten the deal making this a hit at your fall craft show. You Save $21.55 by purchasing this kit rather than buying the items separately. "A nice but challenging kit"
COMMENTS: This kit is a very complete kit and did fill up all the pots that were sent. The flavors smell wonderful and were a big hit with my customers. Heads-up that if you're a beginner to making lip balm, you may want to do just one flavor in a few pots to get your feet wet on this. When you get to making the two flavors and pouring them together in one pot it's kind of tricky... you have to get the liquids cool enough to pour in the pots and stay separate, but not too cool that it just goes gunky in the pot. There's a very fine line there. COMMENTS: Flying off of shelves..easy to make every item in one kit a BIG money saving win! Delicious and pretty what more to ask for? 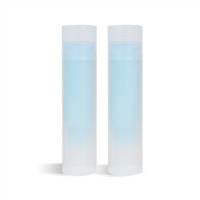 "The Best Lip Balm Kit"
COMMENTS: Oh, so heavenly on your lips. I just barely made the balm and already had 2 sales. Very easy to make the product. I especially like that when purchasing the kit, everything you need is right there. I used the Avery 1-1/2" X 2" #22804 to label the product and part of the label overlaps the lid. It's an easyway to see if the product has been opened. COMMENTS: I was unsure how these kits would work. However, after doing a lot of reading on the reviews for different kits I decided that not only was Wholesale Supplies Plus going to be a good thing, but the kits would make life so much better for me. I was not wrong! 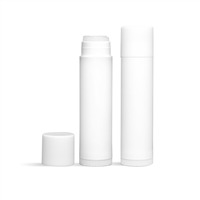 While yes, there are a few things that I didn't care for, most of which could be fixed easily on my end, this kit is a must if you are thinking of adding lip balm to your product line. I had issues with doing the effect shown in the photo, however, that is my fault lol, as I don't have the patience for that kind of thing. I used a q-tip to test each container to make sure it all had the same smell, consistency and taste! While you don't eat the product, lip balm always seems to find its way to your tongue lol. The Smell was fantastic on both! As soon as I opened the Green Apple it was like heaven lol. The Caramel was a little strong in the bottle, however, that was expected! The directions are very easy to follow and it made life so much easier when I had everything I needed, from the microwave safe beakers, down to the gloves, hairnet and mask! Now, as for what I did not like. The recipe calls for 1/4 teaspoon of the coloring. I found that to be way to dark for Green Apple. When I make these again, I will use a little less of the coloring and I am sure that will cause things to lighten up! "Easy to make, just not sure about the textures"
COMMENTS: The kit was really easy to make. I found the lip balm base for pots a really sticky consistency (before I melted it). I had trouble mixing in the brown mica (it clumped). I tried heating it further resulting in a melted beaker (oops!). 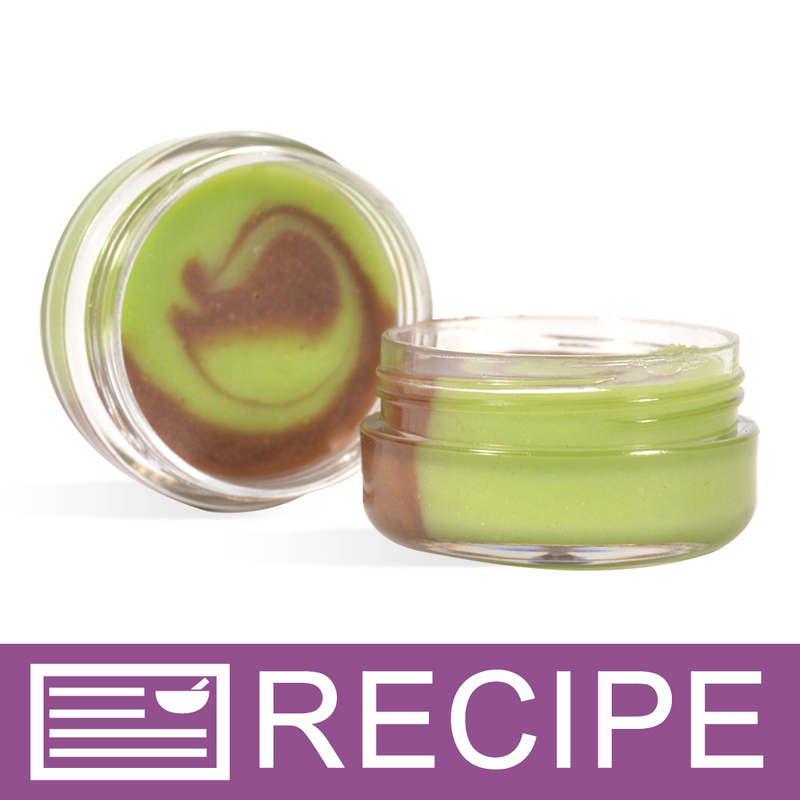 When I poured the lip balms together I couldn't get a nice swirl of caramel inside the green base. I found it either just mixed together or there's a large clump of caramel lip balm trapped under the green apple lip balm. I'm not sure if this is just how it should turn out or if it's a lot of trouble with the operator (me!). I'm sure I'll try making this again on my own, but if I do, I think I might just stick to the one kind of lip balm base (the one for sticks) and avoid the one for the pots. Perhaps that will mix together nicer and get that swirl look that's on the website. "Really liked this lip balm"
COMMENTS: This kit made it so easy to make this lip balm. The instructions were good and everything I needed was included. The apple/caramel lip balm was very pleasant and was eye catching. Because you used the lip balm for pots and the lip balm for sticks, the balm had the two different textures. This was okay but I might change this in the future....not sure. Great experience with a great kit. COMMENTS: Although the kit is super easy to use, there was not enough product to fill all the pots. I had 5 pots left unused. Even so, the gloss turned out great . COMMENTS: This was my first time making anything from a kit. The first part of the batch that I made, I accidentally added a bit too much color and the result was a terrible green. It even turned my lips green! The second batch was much better, beautiful color and easy to use. The only thing I really can say that I didn't care for was that the two lip balm bases had different textures. Nothing anyone has complained about, but it was enough for me to notice. Fun kit though and easy to make. COMMENTS: This is a nice product. I love how everything was included. The beakers made everything seamless. It was a nice plus when trying something out. We made 12 jars. They look and smell and taste so nice. Applying it is easy. I do not sell product, but if I saw this, I would definitely purchase from someone. I think it would be a nice add-on product to a fall gift basket. There is plenty of oil and mica left if you decided to purchase, or if you already have stuff on hand to make more! COMMENTS: I loved the scent and color, I was just very disappointed to see it only yielded me 10 tubs. This totally blows my profit! WSP Response: This recipe should yield 14 pots. They should not be filled completely to the top but half way up the treaded area and there should be enough product to fill 14 jars. "Great end results - but don't get close to 20 pots"
COMMENTS: This is a fun kit and the end result is pretty cool. But the fact that it says 20 pots is very deceiving. It was frustrating - you are paying a lot more per pot than you think. If I stretched it I got 12. But that's not filling the pots all the way. They need to just give more lip balm base and it would be fine - plenty of other components. WSP Response: This recipe has been adjusted to fill 14 jars. The pots should be filled to about the middle of the threaded area on the jar so there should be enough product to do this. COMMENTS: My daughter and I just made this. First kit we have ever used from whole sale supplies. It was very easy, do do not have a microwave so we used a double boiler worked perfectly. I did out a little bit of water in the top pot around the beakers to help with melting making sure not to get any in the beakers. However as previously said we did not get 20 cups filled. We only got 9 1/2. We did fill them to the top. I loved the colors and the fragrance. This will defiantly be something we make again. Lots of oil and color left. COMMENTS: I'm really glad I bought this kit. The only thing I was unhappy about is that it doesn't fill 20 pots like the printed instructions claim. I only got 15 pots, and I would've gotten less if I had filled them as much as I wanted to. It also doesn't say how much to fill each pot. The scent and color are great, and I really like how they turned out. The 50/50 blend of base works perfectly. It's firm enough that it won't melt but soft enough to be applied by a finger. I have lots of extra flavor and mica left over. "So my question is the instructions say to add 1 ounce of the lip balm base, and too second beaker at the lip balm base for sticks, am I adding 1 ounce of the lip balm base for sticks or the whole jar"
Staff Answer You add 1 oz. 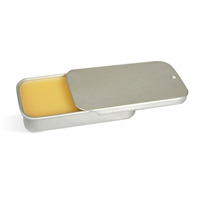 of lip balm base for sticks. We have updated the recipe to include this information. "Why does the recipe call for mixing lip balm base for pots and lip balm base for sticks? Why not just use the base for pots?" 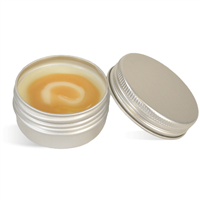 Staff Answer The lip balm for pots is very soft and has a vaseline-like consistency. 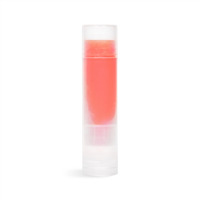 By mixing the two bases, we created a smooth product that is just the right consistency between lip balm and lip gloss. "Is this product gluten free and safe for someone who has celiac?" Staff Answer We are unable to state whether any of our products are safe for someone with Celiac Disease. We recommend taking the ingredients for this recipe to a doctor for review. Our flavor oil ingredients are proprietary so would not be available for review. "how can we make this in a tube if we don't like lip balm in a tin"
Staff Answer We have not tested this recipe in lip tubes. One suggestion would be to eliminate the lip base for pots with more lip base for sticks. "What is the recommended suggested retail price?" Staff Answer Newer recipes do not always have a suggested retail price available when they are first published on our site. Our suggestions are based on current market prices for similar products. I would recommend an internet search for body frosting products to get a base price. Your retail price should be based on your purchase cost, labor cost, current market pricing and client base.